The sun sets behind this beautiful Hindu temple in Kolkata, India. Photographing into a very bright background was the kind of photo challenge you learned to avoid. A severely backlit subject would photograph black under such circumstances and, unless you were trying to achieve a silhouette, you were in trouble. Australia's iconic Twelve Apostles, cast in silhouette, along the Great Ocean Road. Under certain circumstances a reflector or fill flash could be used to add light to the subject, thereby reducing the contrast between it and the much brighter background. But, in the case of landscape or architectural photography, these techniques are usually inadequate due to the subject’s greater size and distance from the flash. The photo of the iconic Twelve Apostles, photographed in silhouette, is a case in point. Back in the day if you wanted to retain the beautiful warm color of the sandstone sea stacks, known as the Twelve Apostles, you’d have to photograph the scene under very different light. That would mean making your photo at a different time of day, a different time of year or under different weather conditions. A black and white autumn portrait of a young woman at Montsalvat in Eltham, Australia. Back in the days of film I simply wouldn’t have made the photo at the top of this post. Or, if I did, I’d have waited till the dynamic range of the scene was within the range of my film and darkroom capabilities. I would have waited until the sun sank behind the temple or, alternatively, returned at the opposite time of day (e.g., sunrise rather than sunset). Of course, while doing so would have produced a technically more acceptable result, it would not be the exact scene I was originally drawn to. But understanding and accepting what I couldn’t photograph was the kind of knowledge that, towards the end of my time working with film, enabled me to achieve a very high rate of keepers. I’m talking about routinely achieving 33 our of 36 perfect exposures on every roll of transparency (i.e., slide) film that went through my camera. That’s right, none of that silly exposure bracketing for me. No sir! The same is true for digital cameras though, just like film, some cameras handle high dynamic range scenes better than others. A spectacular stained glass window in the chapel where the body of Duke Frederick II rests at Helligenkreuz Abbey in Austria. However, when it comes to DSLR and Mirrorless cameras, the key factor determining your success when photographing under high contrast lighting scenes is not so much dependent upon your camera. While some cameras allow you to record scenes with a higher dynamic range than others, the process known as High Dynamic Range (HDR) photography could be the answer for which you’ve been searching. Making 3 or more images of the same scene at different brightness levels (e.g., -2, MAR, +2) so that a good exposure for shadows, mid tones and highlights will be recorded. The next step is to combine the best areas of each of these separate exposures into a single, new composite image. This can be achieved via a plugin, built into Photoshop, or through a series of applications such as Lightroom CC, Aurora HDR 2018, and Nik HDR Efex Pro 2. A detail of an architectural element, in silhouette, outside Etihad Stadium in Melbourne, Australia. 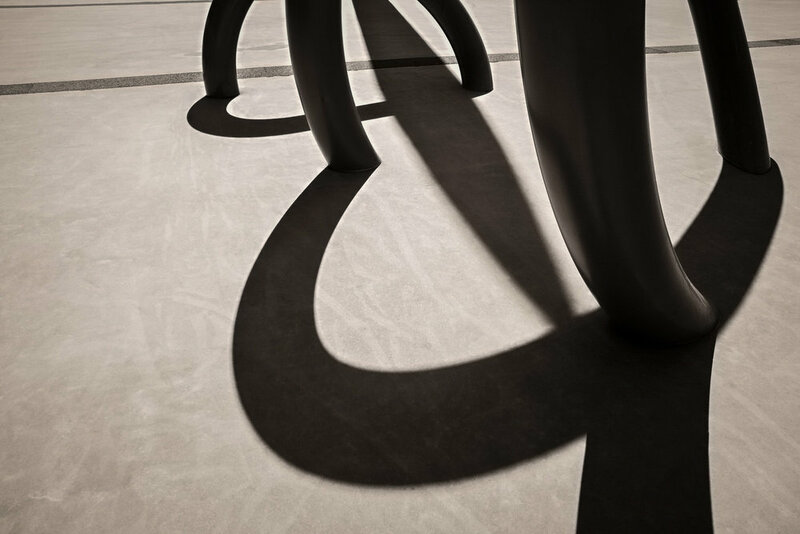 This photo incorporates elements of composition including line, shape, light, shadow and texture. The word exposure is often used to refer to the brightness of an image. If it's correctly exposed the sensor has received the correct amount of light. If an insufficient amount of light reaches the sensor then the image is underexposed. Conversely, an overexposed image results from too much light reaching the camera's sensor. The contrast of a scene is determined by the difference in brightness, or color, between different parts of the scene photographed. Therefore, when it comes to brightness, the term contrast can be used in relation to either local or global (i.e., overall) differences in brightness within an image. Strong backlight illuminates tree ferns and foliage on Mount Tamborine in Queensland, Australia. By the way MAR is an acronym standing for Meter As Read. It’s when the camera’s light meter indicates that the correct about of light will reach the film or sensor. It’s important to note that, in this regard, cameras are frequently wrong and, as a result, your photo comes out either too bright or too dark. This is why cameras have an Exposure Compensation button which allows you to compensate for the camera's poor exposure when using either the P, A/AV and S/TV exposure modes. If, like me, you prefer Manual Exposure, then exposing photos correctly can be achieved by changing either the Shutter Speed or Aperture or, by changing the camera’s sensitivity to light, by altering the ISO. A beautiful glow at sunset illuminates the sky and water with a myriad of color at Jokulsarlon Glacier Lagoon in Iceland. The primary reason you employ a HDR photo workflow is not because your photos are either too light or dark. It's because the dynamic range (i.e., contrast) within the scene is beyond that which the camera's sensor can cope with. HDR photography can prevent the loss of important shadow and/or highlight detail that would commonly occur in a single exposure made under high contrast conditions. Most folks commonly make 3 exposures, at 2-stop increments, as part of their HDR in-camera workflow. In fact my own HDR photograph workflow often involves 5 or more exposures, but at 1-stop increments. I figure the extra exposures will provide finer graduation in tones in the final image. That provides me with a 9-stop exposure range, when doing a series of 9 images at 1-stop increments, compared to the relatively limited 5-stop range offered by my former Canon 5D Mark II camera. My current camera, a Sony a7Rii, allows me to make up to 9 photos in 1-stop increments. That was also true for my previous Nikon D800e camera. Together with the large file sizes produced by these cameras this extended amount of individual exposures, able to be made within a HDR photo sequence, was the main reason I bought these cameras. When I’m photographing scenes of extreme contrast the extra range of my Sony a7Rii makes a significant difference to the final result. If I’d had it when I made the image at the top of this post I would have been able to hold more texture and more subtle variations in color in the sun. As it was the 3 exposures, made via the common -2, MAR, +2 method with my former Canon 5D Mark II, required considerable extra work in Lightroom and Photoshop to produce the image at the very top of this post. It’s a good result, but I feel the sun is too light. It's a shame. A waterfall cascades past a church and into the sea in the village of Bøur on Vagar in the Faroe Islands. Many folks leave it at that, but I prefer to re-work the new composite image in much the same way I would a normal, unprocessed file straight out of my camera. The term HDR has, regrettably, become associated with often pretty tacky looking images. That’s due, for the most part, to overly aggressive post processing. These days I think it’s got more to do with the so-called awesome presets a lot of folks use to process their photos. Don’t get me wrong there are some excellent presets out there. The trouble seems to be that folks either choose the wrong preset for the image in question or consider the preset to be the end of the process, rather than a starting point in a professional post processing workflow. I prefer a more traditional approach called Tone Mapping. In this case you use software (I mostly use Photoshop, though set to 32Bit) to simply combine the best part of each photo in the HDR series into the new composite image without applying any extra effects. This approach provides me with a fairly flat looking image that, nonetheless, contains far more information than would be the case with a single camera exposure. I can then process the image, in line with my own preferences and how the image in question speaks to me, without having adjustments and decisions imposed on me by a preset that's probably somewhat removed from my own personal aesthetic. On one level it doesn’t matter which application you use to arrive at your result, you just need to be happy with the result you’ve achieved. However, notions of beauty are not purely based upon your own, personal desired outcome. They are also based upon your audience’s appreciation and, sometimes, their understanding of the methods and mediums associated with your own workflow. All of the HDR applications I’ve mentioned produce great results. I just prefer to use an application where I remain in control of the process. By all means feel good about the results you’ve achieved or what amazing discoveries the process has led you to. Just ensure you’re aware of how far the image has been altered during the process. I feel this is the best way to determine, prior to publishing and sharing, whether or not the result is somewhat overcooked. 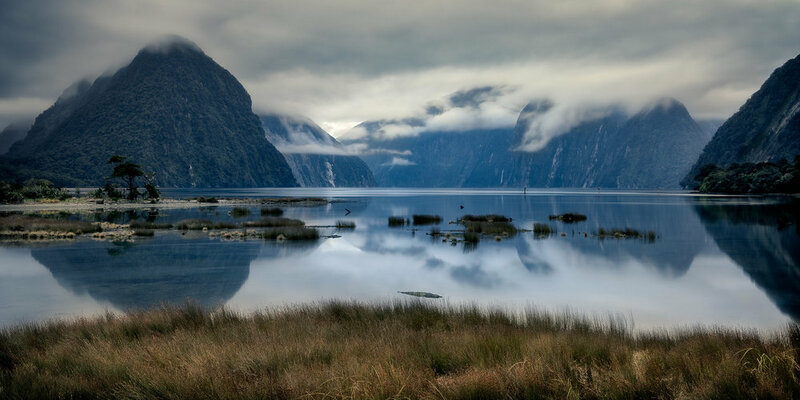 The blue light of dawn on a still morning at Milford Sound, New Zealand. What’s important is that photography remains fun and that all the gear, techniques, apps and methods we use serve our own creative intentions. By all means work intuitively and allow yourself to be taken on a journey. That’s as much a part of the learning process as it is about the creative process. Just be in the habit of constantly reviewing where your image is compared to where it’s come from (e.g., preview, history, edit/undo and edit/redo). That tip alone could prevent you from surrendering creative control to a piece of software that doesn’t actually know what (e.g., tree, face, cloud) you’ve photographed let alone how you've responded, emotionally, to it. Even Jackson Pollack's creative masterpiece Blue Poles is underpinned by technical discipline and sound aesthetic choices. The Tone Mapping aspect of HDR provides photographers with a wonderful method by which to produce images from scenes that would once have been considered to be beyond our ability to record in the way we originally perceived them. With a HDR composite image, containing a far greater dynamic range than was previously possible with a single exposure, our ability to produce images that better represent the original scene and our own creative intentions has been dramatically increased. How Do You Feel About Making HDR Photos? I employ HDR photography frequently when photographing landscape and architecture. Actually I was late to the game, not building this process into my regular workflow until mid 2011. You know, old dogs and new tricks. But, as you either have or will likely discover, once you start working with HDR Photography there’s just no going back. The technical advantages and creative freedoms HDR offers are simply amazing. The fact is that I never really considered HDR to be foreign or, somehow, outside of photography practice. It’s really just another tool, another step in the creative workflow. The only reason I mention it here is for those folks who either don’t know about it or are having trouble implementing it. The fact is that, while HDR is a new world for many, it’s really quite a straightforward process to implement. One you might like to investigate further. As always, I’m here to help you along the road.